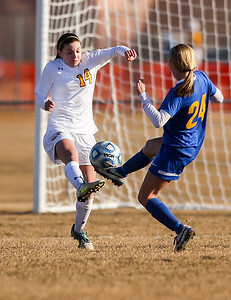 Sarah Nader- snader@shawmedia.com Jacobs' Maddie Belo (left) defends Johnsburg's Kortnee Hass while she shoots during the second half at Tuesday's game in Algonquin March 17, 2015. Johnsburg tied with Jacobs, 2-2. 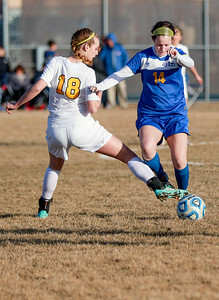 Sarah Nader- snader@shawmedia.com Jacobs' Maddie Belo (left) defends Johnsburg's Anna Fox during the first half at Tuesday's game in Algonquin March 17, 2015. Johnsburg tied with Jacobs, 2-2. 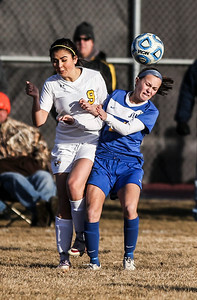 Sarah Nader- snader@shawmedia.com Jacobs' Amanda Pasetes (left) and Johnsburg's Kortnee Hass head the ball during the second half at Tuesday's game in Algonquin March 17, 2015. Johnsburg tied with Jacobs, 2-2. 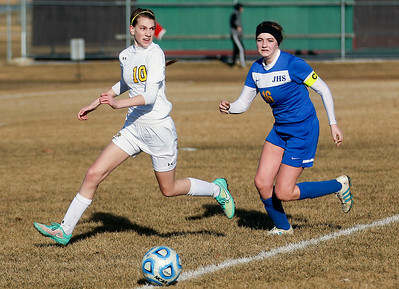 Sarah Nader- snader@shawmedia.com Jacobs' Heather Hoffmann (left) guards Johnsburg's Delaney Pruitt while she brings the ball down field at Tuesday's game in Algonquin March 17, 2015. Johnsburg tied with Jacobs, 2-2. 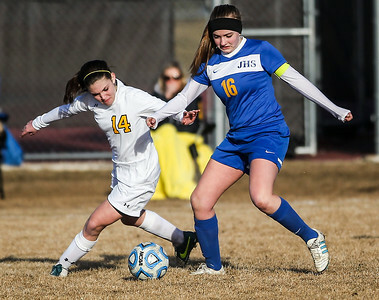 Sarah Nader- snader@shawmedia.com Jacobs' Karissa Gottardo (left) and Johnsburg's Anna Fox run after a loose ball during the first half at Tuesday's game in Algonquin March 17, 2015. Johnsburg tied with Jacobs, 2-2. 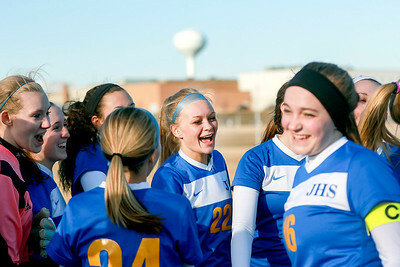 Sarah Nader- snader@shawmedia.com Johnsburg's Allie Layton (center) huddles with her teammates during halftime at Tuesday's game against Jacobs in Algonquin March 17, 2015. Johnsburg tied with Jacobs, 2-2.